Sarasota's Asolo Rep announced its 2015-16 season earlier this week. 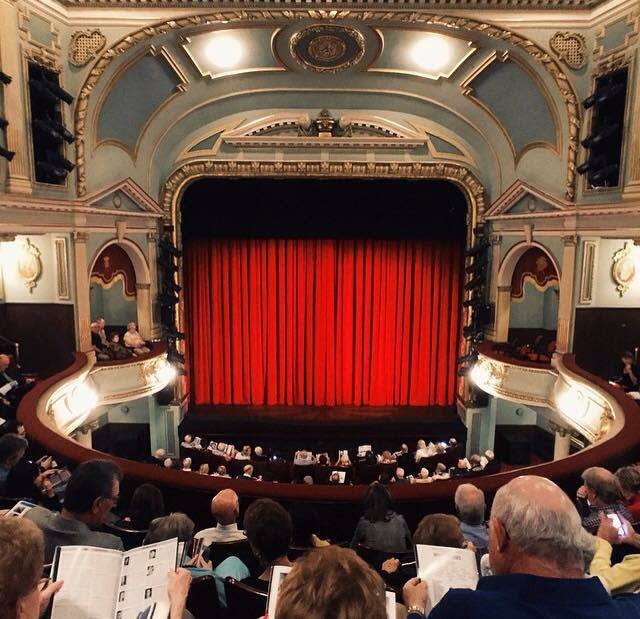 Asolo Rep supporters got their first glimpse (in most cases) of the 2015-16 season Monday afternoon when producing artistic director Michael Donald Edwards announced the line-up onstage at the Mertz Theatre. One show—the world premiere of the musical Josephine, about the real-life Josephine Baker—had been announced previously. But the other titles provided some surprises and some enthusiastic reactions. Opening the season, as has been the tradition the past few years, will be an American musical—West Side Story (Nov. 13-Dec. 27). Issues of racial conflict are addressed in this Leonard Bernstein-Arthur Laurents-Stephen Sondheim musical, as has been the case with other plays produced here in the ongoing five-year American Character series. That’s followed by the company’s rotating repertory pieces: All the Way (Jan. 8-April 9), the recent Tony winner for Best Play, about Lyndon Baines Johnson and his push for civil rights; Living on Love (Jan. 15-Feb. 25), with a book by Joe DiPietro based on a play by Garson Kanin about a self-important opera diva and her equally grand husband (a regional premiere); Ah, Wilderness (Jan. 22-April 10), Eugene O’Neill’s relatively sunny play about a New England family on the Fourth of July, 1906; and Guess Who’s Coming to Dinner (March 11-April 17), a new adaptation by Todd Kreidler based on the 1960s film about a young woman who brings home her African-American fiancée to her white liberal parents. Josephine, starring Grammy nominee Deborah Cox in the title role, fills the next slot in the season, May 6-29, and features a book by Ellen Weston and Mark Hampton and music by Stephen Dorff and John Bettis. A summer musical, running June 3-26, has yet to be announced. The FSU/Asolo Conservatory’s director, Greg Leaming, also announced the upcoming season for shows starring the Conservatory’s MFA students. That line-up includes Tom Stoppard’s The Real Inspector Hound; a David Ives adaptation of a French farce called The Liar; Shakespeare’s Macbeth; and Ingmar Bergman’s adaptation of A Doll’s House, titled Nora. For more information, regarding the season and subscriptions, call 351-8000 or go to asolorep.org.